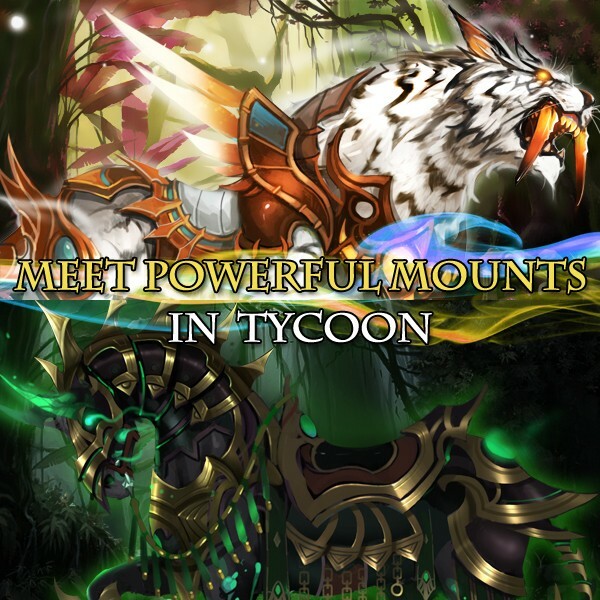 LoA_Single Server Tycoon brings powerful Mounts Back! Description: Collect the required resources to win New Inferno Steed’s, Floe Hunter, Void Armor, Seraph’s Helm, Vidar’s Boots, and many other rare items! - Players gain points by collecting required resources during the event, i.e. Gold, Angel Tears, Runestones, Refining Stones, Blessed Stones, Seraph's Stones, Aegis Shards, Soulstones, Element Crystal, Enchanted Ore, Gem Enhancement Stone and Gemology Points. More exciting events are coming up through September 4 to September 8. Check them out in the in-game How Events menu now!